Hi, Peter! 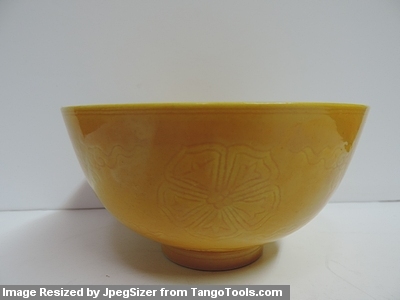 Is there any age in this yellow glaze bowl? Thank you. Thank you very much Peter for your help. With monochrome items proper identification can be difficult... The exact colors become very important. 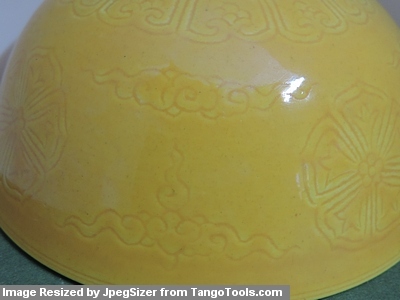 With this one the pictures show two different tones of yellow, which is probably due to the lighting. Which one is correct? There is a Qianlong imperial mark. In my view it would be either imperial porcelain or a new fake. Not sure if more detail pictures would help deciding if it is authentic, via phtographs. 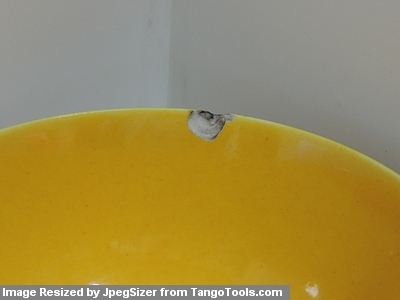 The foot rim seems to be rounded, in these pictures, which would be right for imperial porcelain. The position/alignment of the mark in relation to the decoration is important too. Not clearly visible here. If the mark is off-center, that would be a negative point. Any other negative points like uneven yellow color, etc. could mean it could be fake. 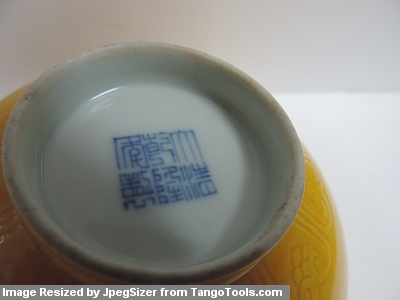 Imperial porcelain of that era was made to be perfect in all aspects. If you own this item already, I would recommend you take it to an antique dealer specialized on Chinese porcelain, or an auction house, for evaluation. As I said above, monochrome items are more difficult to authenticate, and exact color tones, weight, etc. may be important factors that need to be taken into consideration. Even the whiteness of the foot needs to be considered.